Few sports so frequently, and so intensely, show the individual under pressure as Grand Slam tennis singles. Take the case of Stefanos Tsitsipas from Greece, who just two days ago defeated the GOAT (fact), Roger Federer. At the end of the first set, a grimly fought 13-11 tiebreak that went against him, he looked gone. Statisticians reeled off the odds from a first-set deficit against the Fed and they all looked beyond bleak. The GOAT doesn’t tend to look back from an early lead. But the young Greek gun had other ideas. He won in four, and won again today, through to a semis berth. For Alex de Minaur, the second youngest player inside the top 100 (at No. 29) and the highest ranked male Australian player, that win is a sign of things to come from the vanguard of young players on the rise. They are hungry. They are committed. And they “wake up every day” wanting to push the top guys, to take it up to them. “They’ve been at the top for long enough,” de Minaur, 19, says. And when he falls short, like de Minaur did recently against Alexander Zverev in an Australia vs Germany Davis Cup classic that ground all the way to a fifth set tiebreak with the German triumphing 7-5 4-6 4-6 6-3 7-6 (7-4), he “lays awake, eyes open, still high on adrenalin thinking about it, ready to get up and do better tomorrow”. 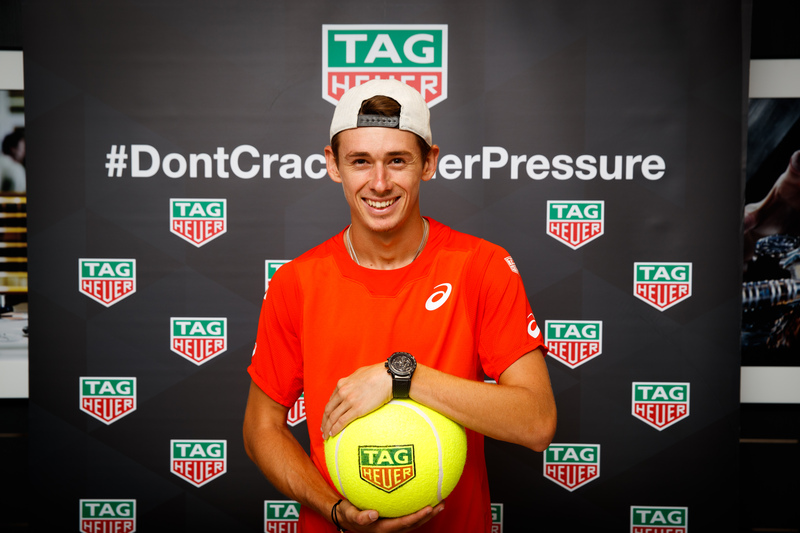 The watch of choice for Alex de Minaur, the TAG Heuer, Heuer 01. So, in the case of TAG Heuer‘s new ambassador, yes, I think it’s fair to say cracking under pressure is not likely. De Minaur has been a fan of the brand since he first laid eyes on a watch. It was his father’s. Conveniently, a TAG Heuer. As your father’s watch tends to do, it left an impression — “I would try and put it on whenever he had it off his wrist. It was a bit big for mine. I’ve always found watches to be more than they are. They’re special. And when everyone else is wearing digital watches, for me it’s a lifestyle choice. 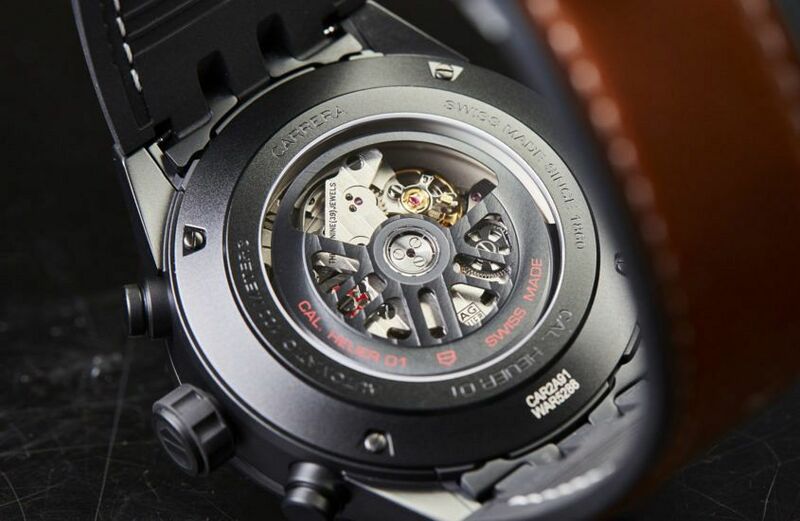 You can’t go past the classics.” De Minaur has two TAG Heuer watches, but wears the Carrera Heuer 01 the most, with its black ceramic case, bezel, lugs and case middle. The RRP of this model is $8250. 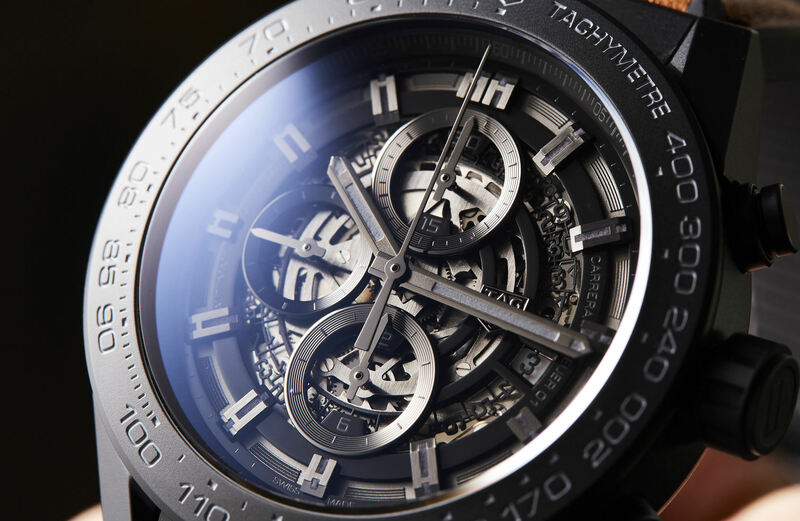 De Minaur describes his tastes in watches as “more classic” than fellow TAG Heuer tennis ambassador America’s Frances Tiafoe (who lost to Rafael Nadal in a quarter-final clash last night) who “goes for more flashy choices”. Andrew is the founder of Time+Tide and an established journalist and interviewer, with a background as a watch and associate editor for several major print publications. Andrew has a thing for clear, simple storytelling.